L3 Communications Electron Devices hydrogen thyratron model L-4904A (L4904A). Rated 36kV peak anode voltage, 2000A peak anode current, 2A average anode current. Used. Removed from working machine. 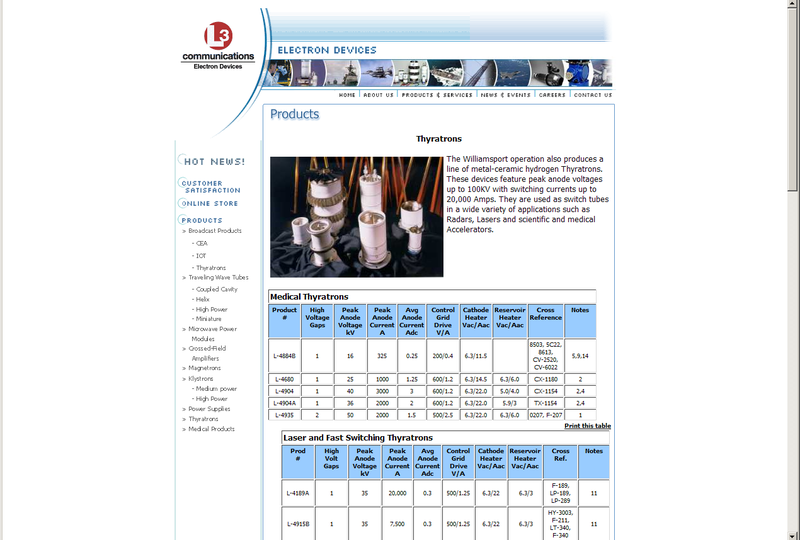 Multiple units available, please inquire if you need a specific reservoir voltage. To view a full specification sheet (PDF), click here.